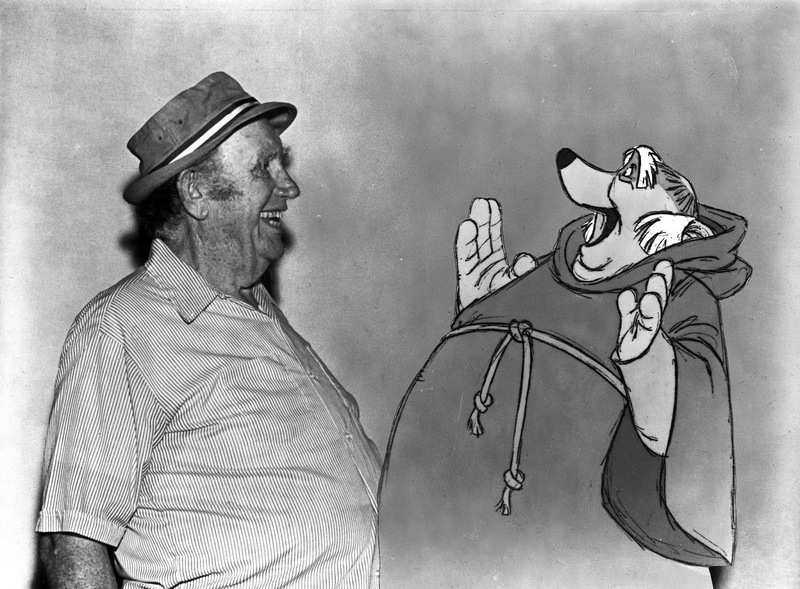 I love publicity photos like this one, where you see the voice actor and the animated character in one picture. Andy Devine voiced the character of Friar Tuck in Disney's Robin Hood, and you can see how Milt Kahl caricatured the actor for the final design. 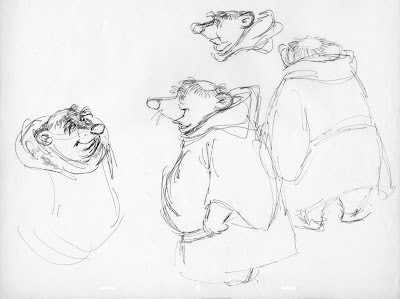 When drawing a portly character there often is a choice to be made as to where to draw the belt line. Below the belly or above. 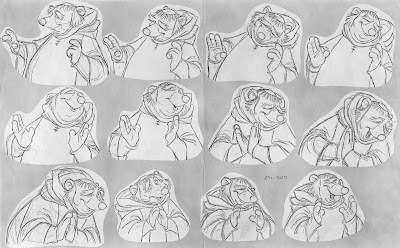 Of course Milt made the right choice to have the belt up high, unlike his early design doodles below. one. 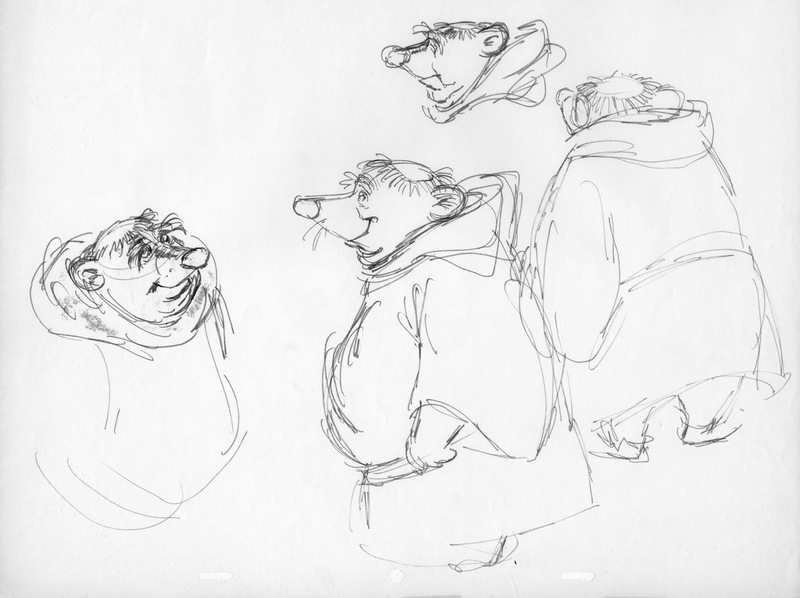 But the overall design as well as the acting work very well for an animated character who happens to be a clergyman. 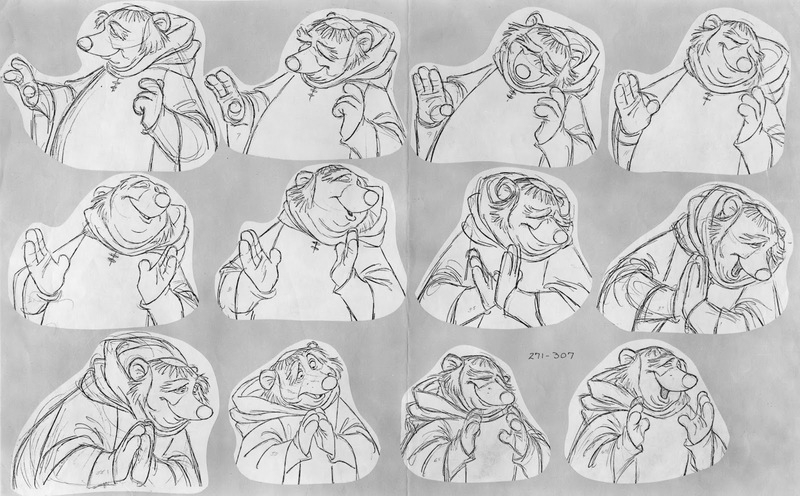 Rough animation drawings from one of Milt's scenes of Friar Tuck. Here he is interacting with the church mice.